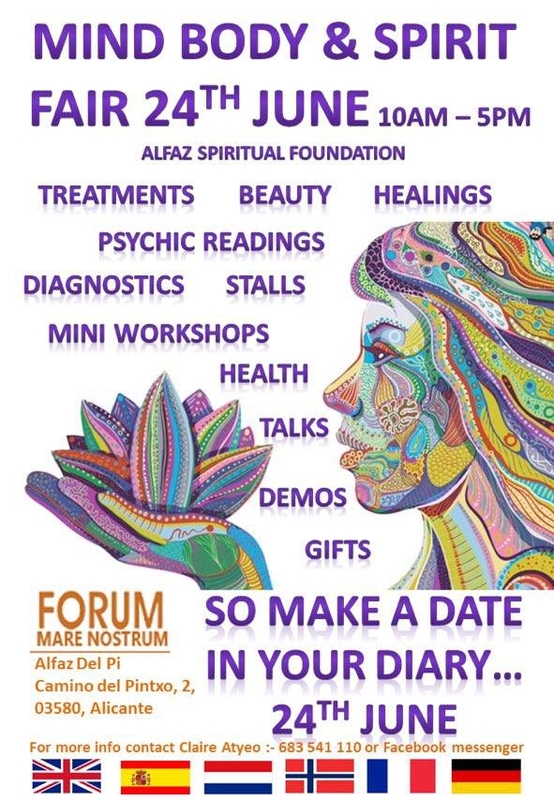 STOP PRESS: Just to give you an update on the MIND, BODY, & SPIRIT FAIR, The Forum, Alfaz del PI. - we have been super fortunate to have Michele Averard, author of “Free your Voice, Heal your Life -a singer-songwriter of international repute joining us, giving a free concert at 14.00hrs followed by a discussion on sound healing. 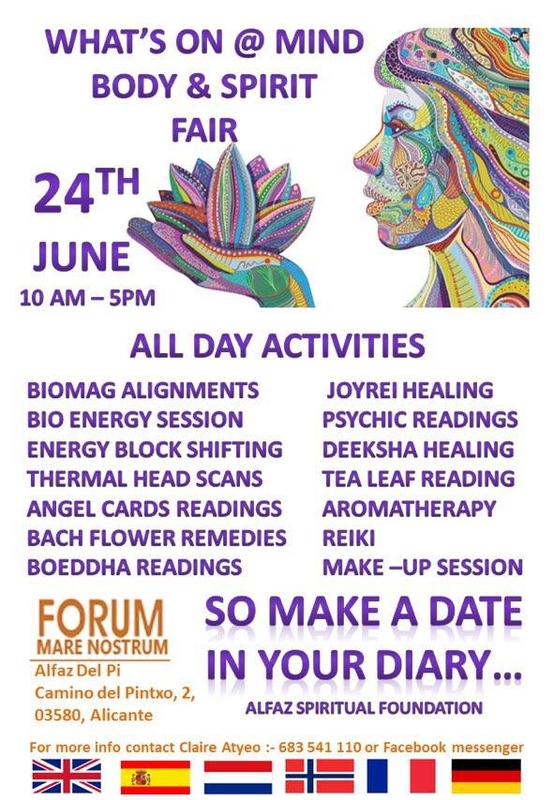 Come join us - there will be something for everyone - do a little gift shopping - have a Healing - Psychic Reading - Try Bio-energy treatment - Biomagnetic Alignment - have a thermal imagining head scan - Mandala Workshop - Learn about Shumei - experience Jyorei - muscle testing- try Zhan Zhuang and Qi Gong these are just a few of the amazing things going on! Come and see My Guide Alicante on Stall 19 to pick up your free mini guide to the Alicante province. Activity Timetable with further details will be posted over the following weeks and you will also have the opertunity of pre-booking your place.